Shelley Bean: Happy Friday and a Little Thank you! This card showcases the new In color, Peek-a-boo Peach. 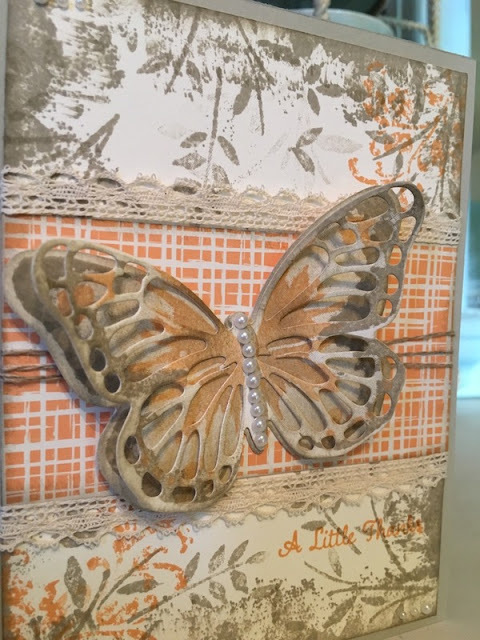 I combined this with the color Sahara Sand and Very Vanilla Card stock. As you can see, there were a lot of layering of textures with the same color. 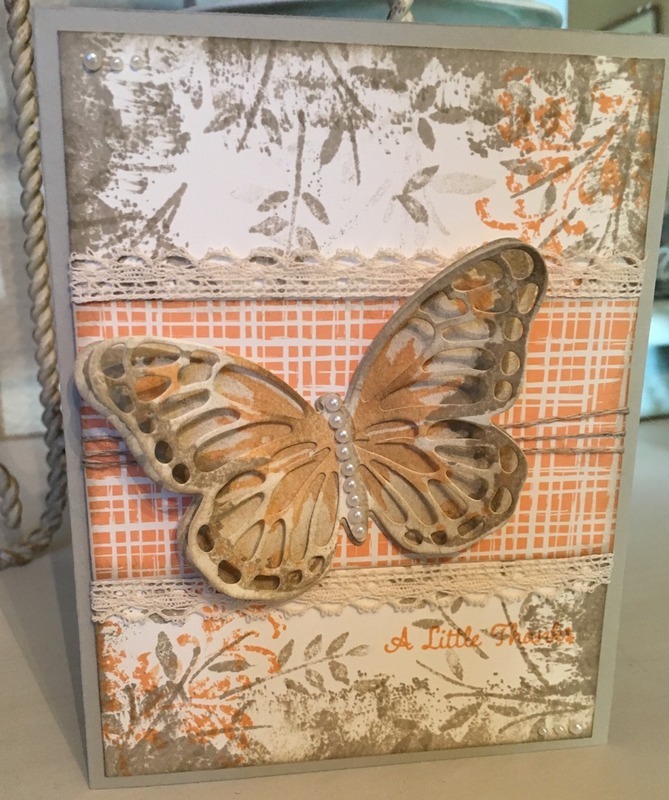 I can't wait to make this same card in other colors. I truly want to thank everyone that participated in my giveaway. I realize I had some that came every single day and left a comment and that means so much to me that you took the time out of your day to do this. Beautiful butterfly card! Congrats to Mary C! Hey Shelley, thanks for the shout out! Your cards are absolutely gorgeous!